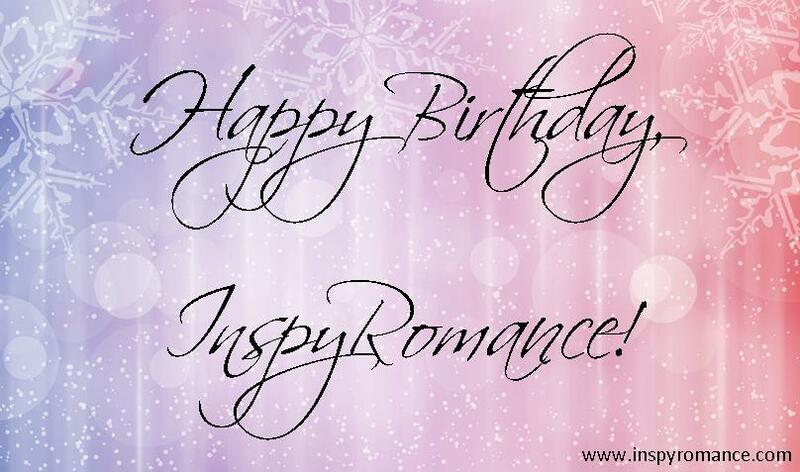 Sunday Edition: Happy Birthday InspyRomance! We’re having a BIRTHDAY BASH giveaway! Now, because we’re all about the romance, we’re not going to start until Valentine’s Day [or really, the 15th because that’s Sunday]. There’s going to be all kinds of chances to win books, books, and MORE BOOKS! YAY! And a super grand prize that we’ll announce later. So stick around! Thank you for sticking with us this long and we hope to see you next year, too! for her comment on Kimberly Rae Jordan’s post on back story this week! The winner of Sandra Bell Calhoune’s giveaway of A Fireman’s Secret by Jessica Keller is Mary Curry! Lindi Peterson’s winner is Becky Dempsey! Monday, Elizabeth Maddrey pondered romance and how realistic books can be. Valerie Comer talked secret admirers on Tuesday. On Thursday, Kimberly Rae Jordan talked about backstory. Heroes? Beth Vogt was talking about them on Friday. Lorraine Beatty talked about readers on Saturday. Raspberries and Vinegar by Valerie Comer is now available in audio! Congrats to Lee Tobin McClain on signing a new 2-book contract with Love Inspired! Congrats to Lorraine Beatty on signing a new 4-book contract with Love Inspired! Love Brings Us Home BOX SET by Hallee Bridgeman, Valerie Comer, JoAnn Durgin, Kimberly Rae Jordan, Staci Stallings, Lynette Sowell, and Debra Ullrick is on sale for 99¢. Happy birthday, Inspy! I can’t believe it’s been a full year already, but I’m excited to see what happens during this upcoming year for all of y’all. Carol,I always love your blog posts and your books. Congratulations on turning one! What an exciting blog! Thank you so much for the gift card. I appreciate it so much! Can’t wait to read the blogs coming up. Have a great Sunday! Happy 1st year birthday Inspy Romance! I’ve only been here just a short while, but I have really enjoyed reading each and every post. Can’t wait to see what’s coming up for Valentines day, sounds exciting! Blessings to all our wonderful authors.